The Republic of Indonesia is the largest archipelago in the world comprising 17,508 large and small tropical islands fringed with white sandy beaches. Over 11,000 islands are still uninhabited and a number even still unnamed. The archipelago stretches for 5,150 km between the continents of Australia and Asia, between the Pacific and Indian Oceans straddling the Equator. Indonesia is the world's fourth most populous country with around 230 million people coming from more than 300 ethnic backgrounds. Indonesians have developed cultural identities over the centuries influenced by Indian, Arab, Chinese, Malay and European sources. Indonesia fascinates with her rich diversity of ancient temples, music, ranging from the traditional to modern pop, dances, rituals and ways of life, changing from island to island, from region to region. Yet everywhere the visitor will feel welcomed by the warm, gracious innate friendliness of the Indonesian people that is not easily forgotten. Indonesian cuisine has been shaped by the varying influences that have formed Indonesia's identity. Rice is the main staple food with spices (notably chili), coconut milk, fish and chicken making up many of the key ingredients. The majority of the population follows Islam and the national language is Bahasa Indonesia. 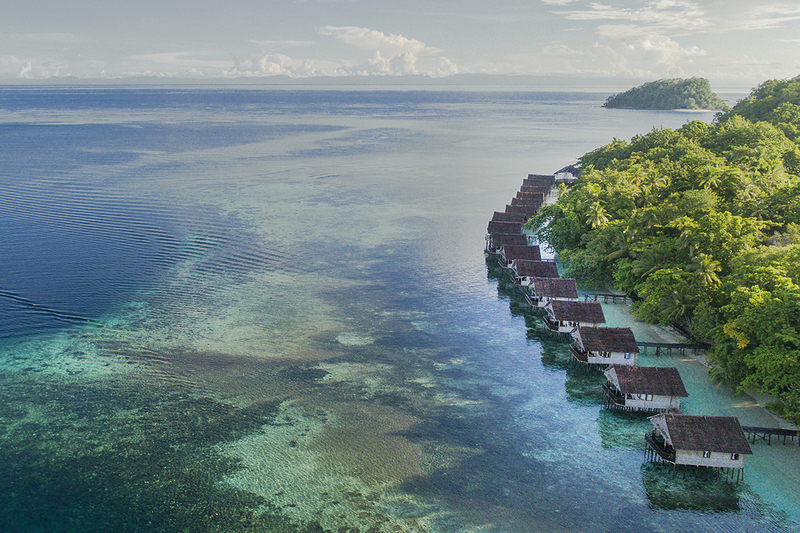 The name Indonesia originates from the Greek words – "Indos" meaning Indian and "Nesos" meaning islands, a fitting description for this large archipelago that lies at the world's epicentre of marine biodiversity. Indonesia's abundance of coral reefs attracts a multitude of marine life, from tiny little critters to large fish and marine mammals. The most popular places to dive in Indonesia are Bali, Gili islands, Manado, Wakatobi, Komodo National Park and Raja Ampat. Indonesia shares borders with Papua New Guinea, East Timor and Malaysia and neighboring countries include Australia, Singapore, Philippines and the Indian territory of the Andaman and Nicobar Islands. Five main islands and 30 smaller archipelagoes are home to the majority of the population. The main islands are Sumatra, Kalimantan (formerly Borneo), Sulawesi (formerly Celebes), Irian Jaya and Java, home to 70% of the country's population. Indonesia shares Irian Jaya with Papua New Guinea and two thirds of the island of Kalimantan with Malaysia and Borneo. The nations' capital, Jakarta, is on the island of Java. Because of Indonesia's location and geology, the country is blessed with the most diverse landscape, from fertile ricelands on Java and Bali to the luxuriant rainforests of Sumatra, Kalimantan and Sulawesi, to the savannah grasslands of the Nusatenggara islands and the snow-capped peaks of West Papua. But Indonesia still has many unexplored islands with grand mountain views, green rainforests to trek through, rolling waves to surf and deep blue pristine seas to dive in. There are a number of wildlife species indigenous to Indonesia such as the "orang utan" apes of Sumatra and Kalimantan, the giant, prehistoric "Komodo" lizards which are the only ones of their kind in the world today roaming free on the island of Komodo; the one homed rhinoceros of Java, the wild "banteng" oxen, tigers and many other species which are now protected in wildlife reserves. Indonesia is also the habitat of the Rafflesia the world's largest flower, wild orchids, an amazing variety of spices, and aromatic hardwood and a large variety of fruit trees. Underwater, scientists have found in North Sulawesi the prehistoric coelacanth fish, a "living fossil" fish, predating the dinosaurs living some 400 million years ago. Apart from relaxing at a beach resort or snorkeling and diving, Indonesia offers an abundance of activities in which to engage. Indonesia has some of the world's best waves and there is surf to be found all year round somewhere amongst the many islands. 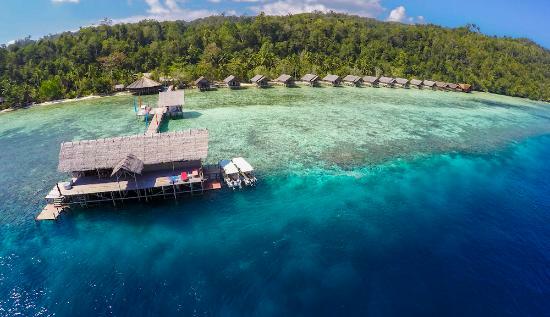 Indonesia's most popular world class breaks include Nias, Mentawai and Uluwatu. Kayaking, treking, surfing, rock climbing ... these are only some of the many exhilarating adventures that are on offer in Indonesia. From white water rafting down the rapids of the Maiting River in Sulawesi to climbing the peaks of one of the world's most famous volcanoes at Krakatau, Indonesia has enough thrilling adventures to keep any adrenaline junkie busy. Climb active volcanoes to take in the awe-inspiring views. Crawl into tight, dark spaces to explore the caves of Java. Hike the high snowcapped peaks of the mountains of Papua or get off the beaten track in the jungle in Kalimantan where you will meet the Dayak people. Search for wildlife and get up close and personal with wild orang utans. Indonesia abounds in monuments of the past. There are the temples of the Buddhist and Hindu dynasties; Hindu temples of Prambanan and the Dieng Plateau, the "kraton" (palace) of sultans in Surakarta, Yogyakarta, the Maimun palace of the Sultanate of Deli (in Medan), the Hall of Justice in Bali, ruins of ancient fortresses and museums, mosques and churches steeped in folklore. Whether you take the opportunity to see traditional batik cloths being made, experience centuries old customs and festivities with a visit to a traditional village, or soak up some history in one of Indonesia's many museums – the list of heritage attractions appears endless. If shopping is your passion, then go no further than the major metropolitan cities of Indonesia. The malls of Jakarta, Indonesia's bustling capital, vary from those with high end designers to the chaotic crowds of local markets where anyone can pick up a bargain. Try shopping at a traditional market where you can test your bahasa bartering on local produce, handicrafts or antiques. Sample the tropical fruit or take in the sights of traditional bamboo furniture for sale. Browse the traditional wares on offer, from beautiful batik materials to shiny pieces of hand crafted silver jewellery. Take the opportunity to recharge your body and soul with a visit to some one of the world's best spas, in Bali, Java and Jakarta. Indonesian spa's range all the way from secluded hideaways in beautiful natural surrounds to serene parlours tucked away in the streets of big cities. Indonesia has a tropical climate, hot and humid with distinct "dry" and "wet" seasons sharing the year. The East Monsoon, from June to September, brings dry weather while the West Monsoon, from December to March is moisture laden, bringing rain. The months between these two seasons have can still have heavy rain showers. Tempertaures range from 21ºC to 33ºC throughout the year except at higher altitudes which can be much cooler. The heaviest rainfalls usually occur in December and January. 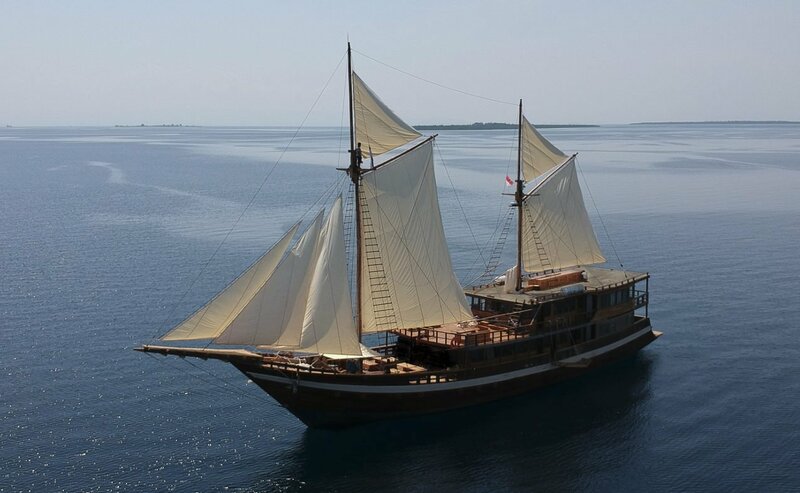 You can dive in Indonesia year round, however conditions will vary in the different regions throughout the year. Generally, the best dive conditions are from April to November outside of the wet season. Please check the details for each region's dive seasons / conditions individually. Water temperatures range from 20ºC to 30ºC throughout the year and certain areas are affected by thermaclines and cold water currents moving through resulting in some significant temperature variations. Indonesia forms one corner of the Coral Triangle, which is the epicentre of the world's marine biodiversity. With 20% of the world's coral reefs, it is one of the ultimate scuba diving destinations. Some dive destinations are situated in marine conservation parks. There are over 3,000 fish species and 600 species of coral. The diving is diverse with steep walls, deep-water trenches, underwater volcanic mountains, World War II wrecks, pelagic life, an endless variety of macro life and extraordinary muck diving. Many destinations have excellent land-based diving, while some remote areas are best approached by liveaboard. Currents and cool upwellings create two distinct marine environments in this UNESCO World Heritage Site. Komodo has it all - Big fish capital of Indonesia, critters, manta rays, hard and soft corals, unspoilt coral gardens, pinnacles and drifts and the fearsome Komodo dragon. Has the highest biodiversity in the world - remote and unspoilt with 74% of all the earth's known corals, almost 1,400 species of reef fish and more than 600 species of hard coral. Has one of the most photographed house reefs in the world – a macro photographers delight, outstanding corals and underwater vistas. Gili Trawangan, Gili Meno and Gili Air - known for their turtles and drift dives along walls, ridges, canyons and slopes. Good for snorkeling. Indonesia lies between the mainland of South-East Asia and Australia. It is the world’s largest archipelago state and is made up of five main islands. The landscape varies from island to island, ranging from high mountains and coastal lowlands. The international country code for Indonesia is 62. West Indonesia is 7 hours ahead of Greenwich Mean Time (GMT); Central Indonesia is 8 hours; and East Indonesia is 9 hours ahead of GMT. As of 22 March 2016, Australian citizens may receive a 30 day Visa Free Entry Stamp if arriving through Bali or Jakarta. Entry to Indonesia via other ports may require a 30 day Visa On Arrival for a fee of USD$35 per person payable in cash on arrival. (Please note that this can only be paid in USD) Please check for the most up-to-date visa requirements to Indonesia for all passport holders. Indonesia has 5 recompression chambers and numerous hospitals. Malaria is present in most rural areas incl. Lombok and all of eastern Indonesia. Shots for Diphtheria, Hepatitis A, Tetanus and Typhoid are highly recommended. Remember that some medications can make you sun sensitive, so extra care must be taken to ensure that skin is protected from sun burn. Please check with your physician for the best precautions to be taken. The currency of Indonesia is the Rupiah. VISA and Mastercard credit cards are widely accepted in the main tourist areas. In more remote areas it is recommended to carry small amounts of cash. The allowance is 200 cigarettes or 50 cigars or 100g of tobacco, 1litre of liquor and a reasonable quantity of perfume. Indonesia has a tropical climate which varies from area to area. The eastern monsoon brings the driest weather (June to September), while the western monsoon brings the main rains (December to March). Rainstorms can occur all year. The emphasis is on light and casual clothing but not too brief in public places. Swimwear is not permitted in the public areas of hotels. Warmer clothes are recommended for evenings. Woman should observe the dress code in Muslim areas that requires shoulders and legs to be kept covered. Sun protection is absolutely essential. 220 - 250 volts AC, Plug C, F & G – Plugs used are European style with two circular metal pins. (For further details refer to http://www.iec.ch/worldplugs/). There are a number of trading banks throughout Indonesia. Banking hours are 8.30am to 2.30pm Monday to Friday. Some bank branches in hotel hours may vary and open longer hours. Bahasa Indonesia is the official national language. The older generations still speaks Dutch as a second language and English is widely spoken in tourist areas. There is a Muslim majority of approximately 85%, with Christian, Hindu (mainly in Bali) and Buddhist minorities. Water used for drinking and brushing teeth should first be boiled or sterilised. It is important to drink plenty of non-alcoholic fluids to avoid dehydration. Favourite buys are woodcarvings, sculptures, silverwork, woven baskets and hats, bamboo articles, paintings and woven cloth. At local markets and small shops bartering might be necessary. Some shops are opened 9.00am to 9.00pm (particularly in Bali), however some shops have shorter hours on Sundays. Most local markets open either very early in the morning or a dusk. In the smaller towns, shops may close between 1.00pm and 5.00pm. 10% is normal unless a service charge is already included in the bill. Indonesia’s coastline is reputed to contain 15% of the world’s coral reefs. Bunaken National Park and Lembah Strait, both in North Sulawesi are magnificent. Beginners can even go wreck diving on the Liberty in Tulamben off east Bali. Overall the best dive conditions exist from April to November with rainy season starting in January through to March. Average water temperature can range from 23°C to 28°C. A 3-5mm suit is recommended. Dive operators supply tanks, weight belts and dive guide services. There will be an extra charge if equipment hire is required. For airline tickets issued prior to 9 February 2015, you will need to pay a local International Airport Tax up to IDR 200,000 or Domestic Airport Tax between IDR 13,000 - 75,000 in cash at the Indonesian airport of departure as you proceed through immigration.